A physician and surgeon with over 40 years experience, Maring helped start an innovative neurosurgery unit for children. He is passionate about the health benefits of local organic food, which in 2003 led him to launch the Friday Fresh Market at the Kaiser Permanente Oakland Medical Center. He is known in the Bay Area as Dr. Broccoli. This popular farmers market features growers who are approved by the California Certified Organic Farmers’ Association, and it has become so much a part of patients' and employees' lives that Friday appointments at the clinic fill up first now because people want to pick up tasty food for the week. Maring's idea has now spread to more than 55 Kaiser health facilities in multiple U.S. states. An enthusiastic cook himself who insists on the best and freshest ingredients, Maring writes a popular cooking blog, called Food for Health, on the KP website. For Maring, the importance of locally-farmed, organic produce goes well beyond tasty meals; to him it is fundamental to the health of a community. The ultimate mission of the Friday Fresh Market is to improve people’s diets while also providing a reliable venue where organic farmers can sell their crops. Maring recently recently teamed up with Kaiser Permanente and the Community Alliance with Family Farmers to help create a distribution system that delivers produce for patient meals from small family farmers. 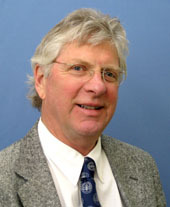 Maring was born in 1949, and he received his MD from the University of Michigan in 1971. From an early age Maring was busy in the kitchen. His mother believed that to overcome obstacles and succeed in life, you've first got to learn how to take good care of yourself. Preston Maring carries on that philosophy today, offering inner city residents a chance to improve their health through access to good, nutritious food. Specializing in obstetrics and gynecology, Maring is currently the associate physician-in-chief at the Kaiser Permanente Oakland Medical Center. He has also worked with Health Care Without Harm, the Community Alliance with Family Farmers, and Physicians for Social Responsibility to promote purchasing of sustainably produced foods at San Francisco Bay Area and Los Angeles hospitals. Dr. Maring firmly believes that the way food is produced matters not only for the health of the consumer, but also for the environment, and for farm workers and their children. Friday Fresh Market. Maring created a pioneering farmers market featuring locally grown, organic produce on the grounds of the Kaiser Permanente Oakland Medical Center, where he is the co-chair of physicians. Kaiser now has launched similar markets at more than 55 of its health care facilities across the U.S.
"Good food is such a fundamental part of good health. It's important to talk to patients about that." "I've always enjoyed cooking, but it wasn't until my son was born that I got really serious about it," Maring says. "That's when I started vegetable gardening. It gave me great pleasure to feed him stuff that I had grown." "I will tell my patients here's my card, go onto my homepage, my Web site, read my recipes, and cook one every month. When you come see me next year, let me know which recipe you like the best."